If you do it everyday, digital marketing is routine, but for many small business owners it’s just too overwhelming to even think about. That’s a shame, because a few simple steps can make a big difference in the life or death of a small business. Brandmuscle, the local marketing software company, put together an infographic outlining the three areas that SMB’s need to master if they want to make it in 2015. It’s time to get back to the basics with email, social media and online reputation. Why: 66% of consumers have made an online purchase after reading a marketing email. That’s huge. What’s even huge-er(?) is the return on investment. Brandmuscle figures that the ROI on email marketing is 4,300%. How: Give people a reason to subscribe and make it easy to do. Sign up your own company newsletter and see how many hoops you have to jump through. Some companies make it incredibly tough. Also, make sure your marketing emails show up properly on mobile. If not, you’re losing out on a lot of potential sales. Why: 74% of online adults use social. Facebook sends 63% of traffic to Shopify stores. How: Make sure all of your business contact information is easy to find on your social media channels. (You’d be surprised by how many online companies don’t have a link and offline companies don’t have an address.) Use lots of images and don’t try to do it all. Pick one or two social networks so you can focus on updating them regularly. Why: 79% of customers trust online reviews as much as a personal recommendation. On Yelp, a one-star increase in ratings results in a 5-9% increase in revenue. How: Monitor the web and social media for mentions and respond quickly when a customer is unhappy. Respond just as quickly when a customer posts something nice about you. They’ll appreciate that you appreciate their efforts. If your business isn’t looking so good online, you might need the help of a reputable, reputation management company. If you need one. . . I know a guy. 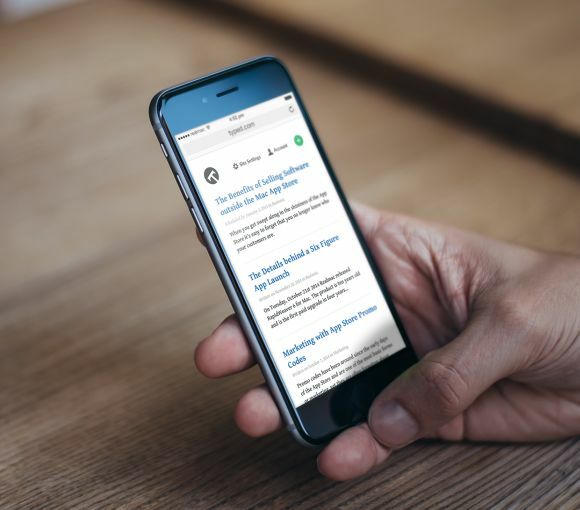 Typed.com is the latest upcoming blogging platform that makes it easier for writers, storytellers, and journalists to publish their work online. It is currently an IndieGogo campaign launched by Realmac Software, makers of Realweaver, Ember, and award-winning to-do app Clear. But with a couple of days left before the end of the campaign, Typed.com has amassed over $ 115,000USD, more than 500% than their target goal. Why the need for Typed.com? 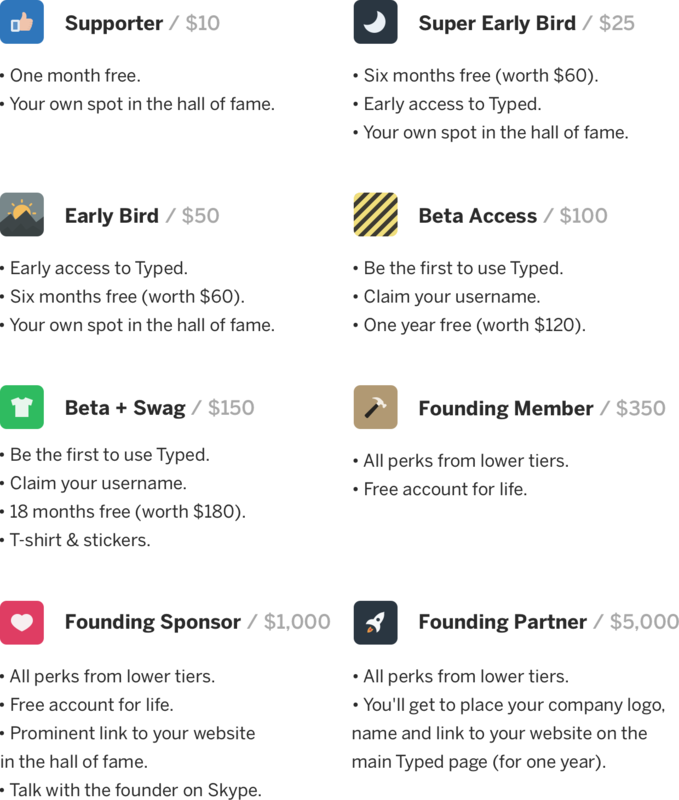 If the amount of donations made for Typed.com indicates anything, the need for a new and different blogging platform is at an all-time high. Blogging was a simple and straightforward platform for people to share their writing to the world. All they need to do is sign up for an account and write their posts before publishing. It’s that easy. Nowadays, blogging platforms have evolved into content management systems (CMS). These platforms accommodate features that may have nothing to do with blogging. While not necessarily a bad thing, it makes it more unnecessarily complicated for non-developers to create and post on their blogs. This is the very reason why Typed.com was conceived. Aimed to provide a “beautiful writing experience,” Typed.com keeps things simple but cutting down the features to its bare essentials. This way, bloggers can focus on what they do best – blogging. No need to download different plugins and add-ons or purchase a web hosting service. 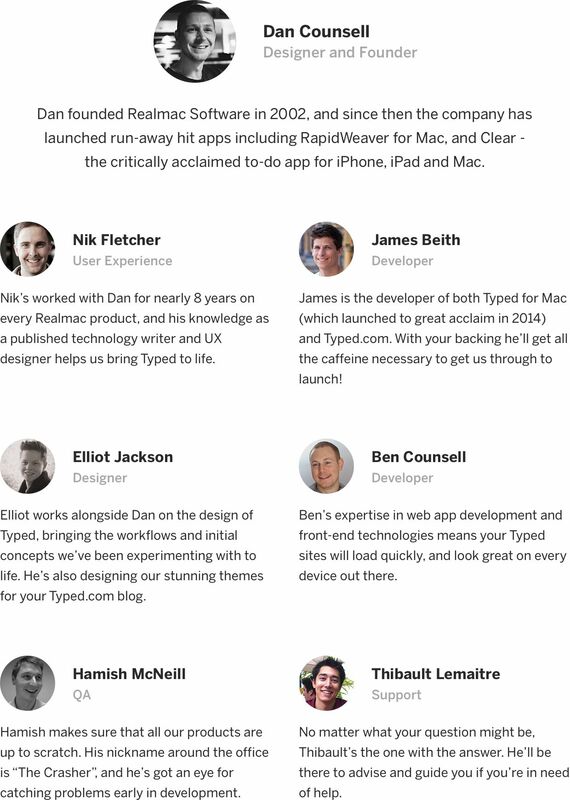 Realmac is a 12-year old small team in Brighton, England that develops apps dedicated for building websites. Through their experience, the team is dedicated in making Typed.com a world-class online writing and publishing platform in the world. Typed.com has the basic features that you’ve expect from a great blogging platform. But what makes it special compared to others is its user interface. If you have used apps developed by Realmac, you can expect the same seamless user experience that is seen from their previous works. Adding an image is simple as dragging and dropping the file on the browser. No need to open a new window to select the image to be added. All content in your blog is and will be hosted by Typed.com. You won’t have to worry about getting your content pulled down from your blog. As long as you remain a paying customer, Typed.com will keep your content online. All blog content is hosted using cloud application Heroku. This also allowed Realmac to focus on creating an awesome blogging platform in Typed.com instead of dividing their attention on hosting. If you want to add pages to your blog instead of posts, Typed.com lets you do that with just a few clicks of a button. Typed.com runs using the Django framework and backed by PostgreSQL to provide a fast-loading and clean blogging platform for users. As mentioned, the IndieGogo campaign is still ongoing. Even if the campaign has exceeded its goal, you can still donate to enjoy exclusive perks such as discounted prices, membership option, and more! Here’s a development time of Typed.com for those interested. If you want to get your hands on Typed.com and be one of the first few people to enjoy this new blogging platform, then click here and make a donation. The post Typed.com Brings Blogging Back to Basics appeared first on SpyreStudios.